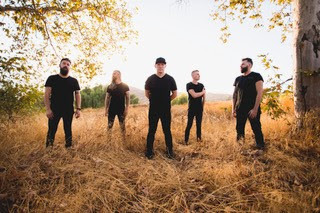 Kutless is a rock and worship band that has been together for over 17 years. 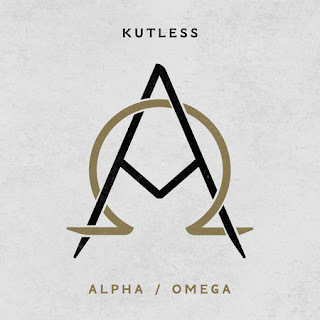 This amazing group from Portland, Oregon has released their newest CD, Alpha/Omega and it is incredible. The first time I listened to their songs on this CD, I literally got goosebumps. This group has an evangelistic heart, and you can hear it in their music. Their mission as a group, has been to promote the gospel to a younger generation. This includes not only in the United States, but other countries as well. They have released two other CD's, Strong Tower and Live From Portland. They have had 12 Number 1 radio singles as well, including "Strong Tower," "What Faith Can Do," and "Carry Me to the Cross." Chances are, if you listen to Christian radio, you have definitely heard this band's music. "King of My Heart" is one of the song's on this album, and it is now one of my favorite songs to listen to! I was really impressed not only by this CD, but by the efforts and talents of this group. There is such a need to reach our younger generation, and what better way to reach them, then in music. They are excellent role models not only for my sons, but also to everyone and on how important it is to spread God's Word. I think if you enjoy modern Christian music, this is a must have in your CD collection. I think it is one that can be loved by every member of the family, and not just the young ones. Disclosure (in accordance with the FTC’s 16 CFR, Part 255: “Guides Concerning the Use of Endorsements and Testimonials in Advertising”): Many thanks to Propeller Consulting, LLC for providing this prize for the giveaway. Choice of winners and opinions are 100% my own and NOT influenced by monetary compensation. I did receive a sample of the product in exchange for this review and post. Only one entrant per mailing address, per giveaway. If you have won a prize from our sponsor Propeller /FlyBy Promotions in the last 30 days on the same blog, you are not eligible to win. Or if you have won the same prize on another blog, you are not eligible to win it again. Winner is subject to eligibility verification. Giveaway open to residents of the United States, ages 18 and older. Giveaway opens November 14, 2017 12:00 am (EST) and will close November 22, 2017 12:00 am (EST).